Happy New Year everyone! Was literally off the radar the whole December due to the holidays and wasn’t able to even update my site with any new posts until now ^^; Hope you guys had an awesome holidays with your family and friends! So yeah, earlier this year, I suddenly had this sudden urge for all things “Lightsaber” because of the new Star Wars film. 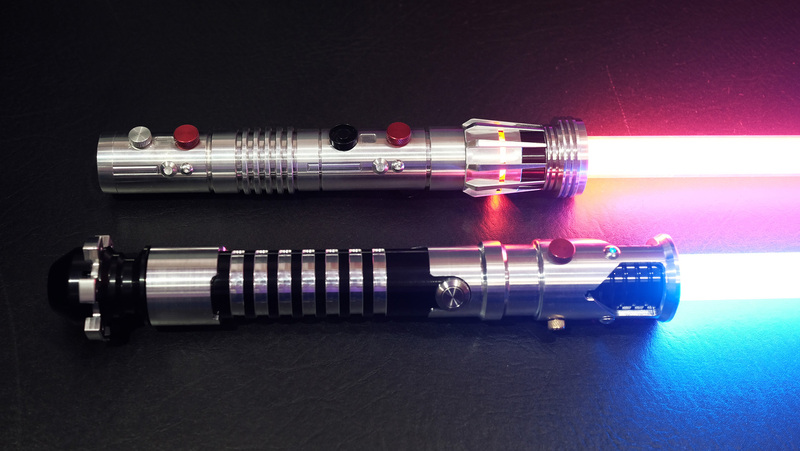 As a toy / figure collector myself, I’m aware about Hasbro’s line of replica sabers based on the film and I also know that these sabers are just for “show” and not designed for smashing with another lightsaber. 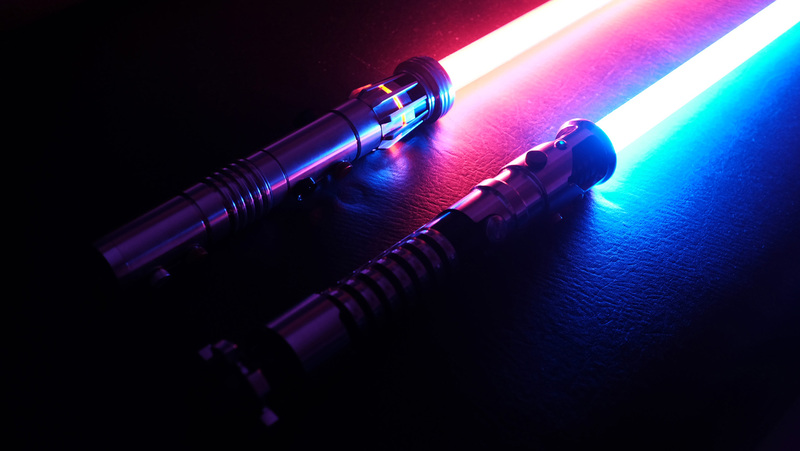 I did some research and found out that there are indeed companies designing lightsabers that are designed for “dueling” or what they normally call as “duel-ready” lightsabers. 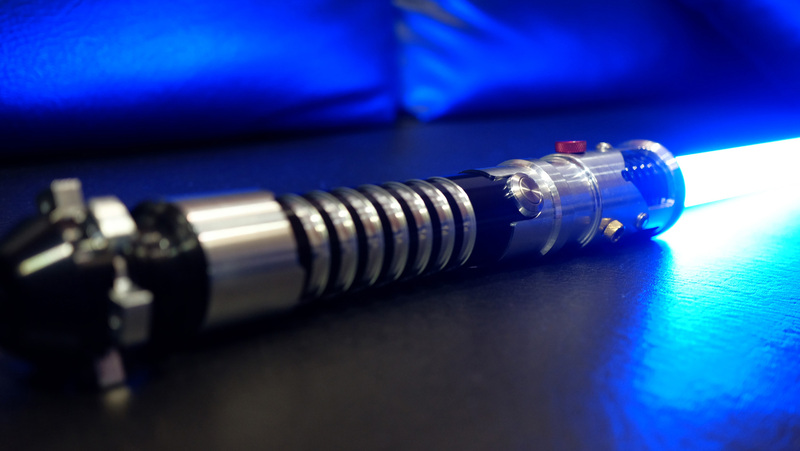 These lightsabers are not toys and are all “custom built” using military grade aluminum! 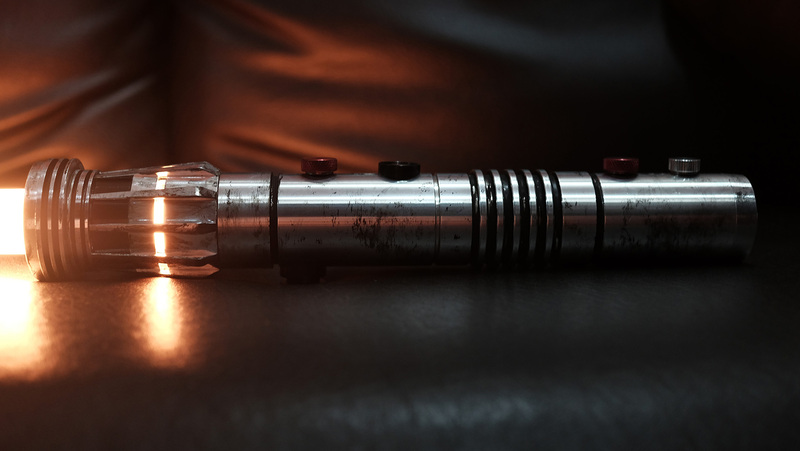 As for the lights, Hasbro uses LED strings inside their lightsaber tubes in igniting their sabers which in turn makes the lightsaber impossible to duel with. 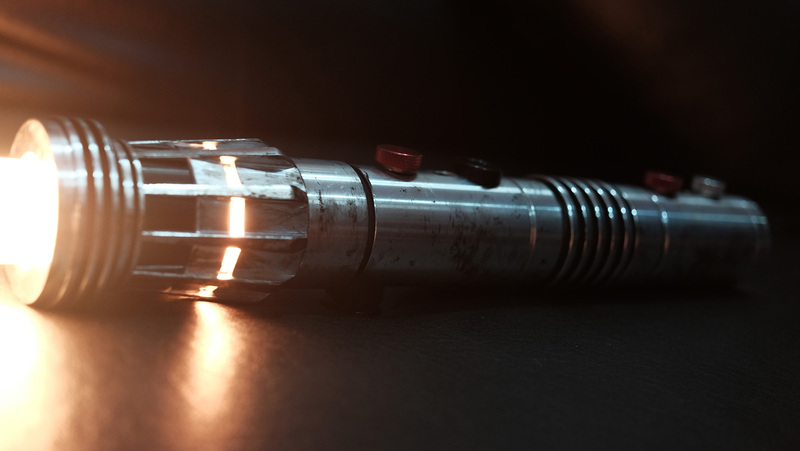 Since the LED lights are inside the tubes, smashing it with another lightsaber will ultimately damage the LED lighting inside. This LED string method is also the reason why Hasbro lightsabers have this power up and power down light effects – which is yep, just for show. 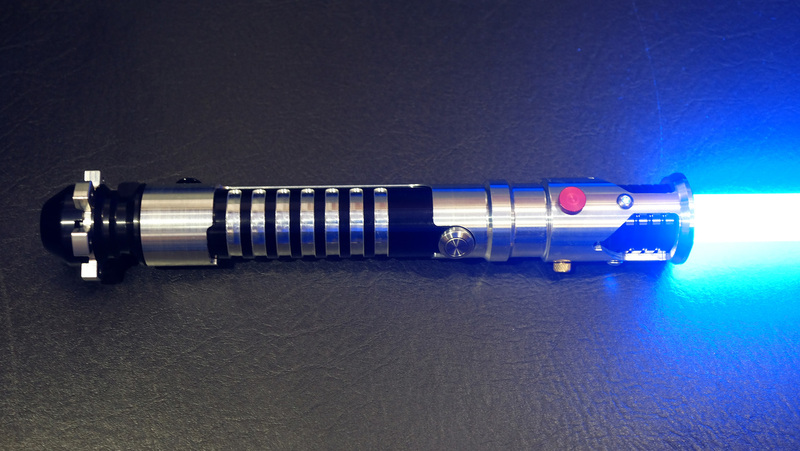 On the other hand, duel ready custom sabers uses high powered LED inside the hilt (or the handle) of the saber. 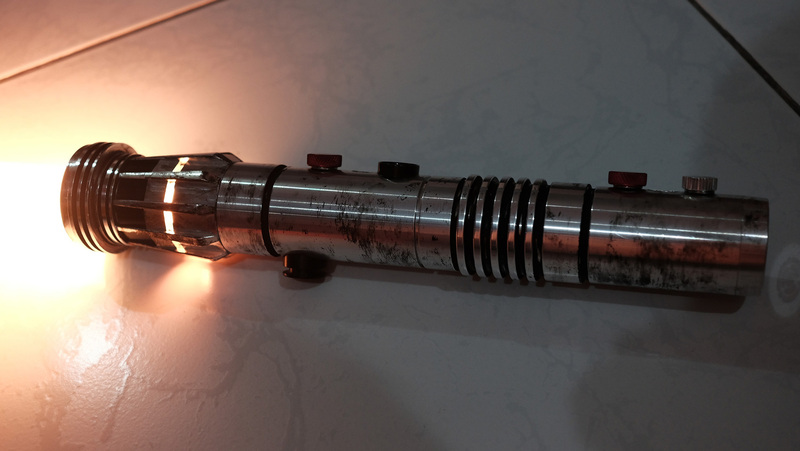 This means that the LED light that ignites the saber is safe from damage specially when dueling. 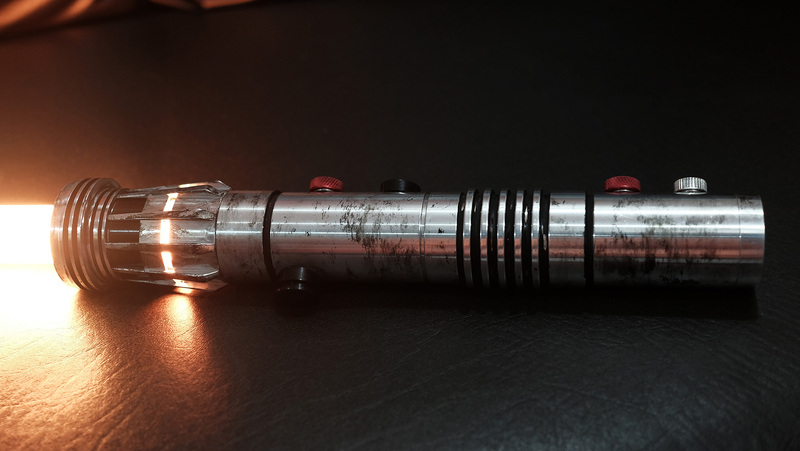 This also means you don’t have the power up and down light effects seen on Hasbro sabers which are totally fine by me ;) These duel ready lightsabers uses a thick polycarbonate tubing so you don’t have to worry about breaking it while dueling! 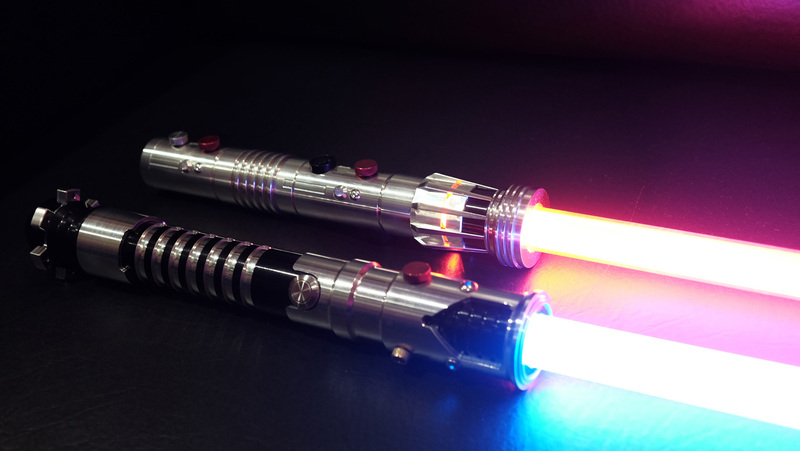 There are a couple of popular custom lightsaber companies out there that makes these duel ready sabers. 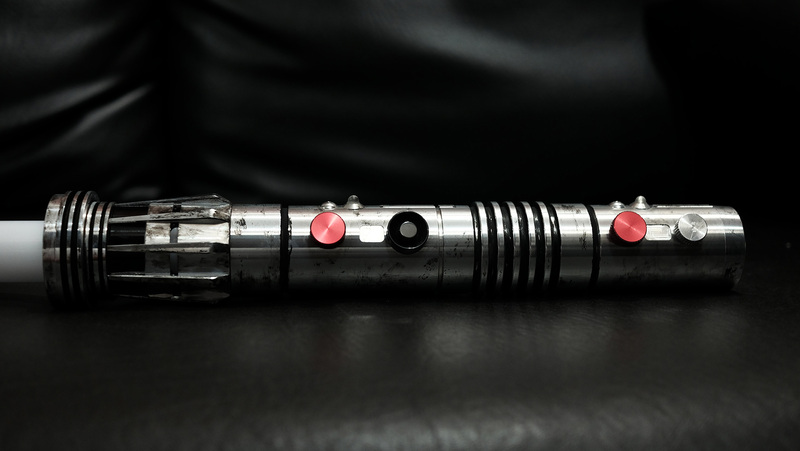 Popular ones are Saber Forge, Ultrasabers, and Vader’s Vault. 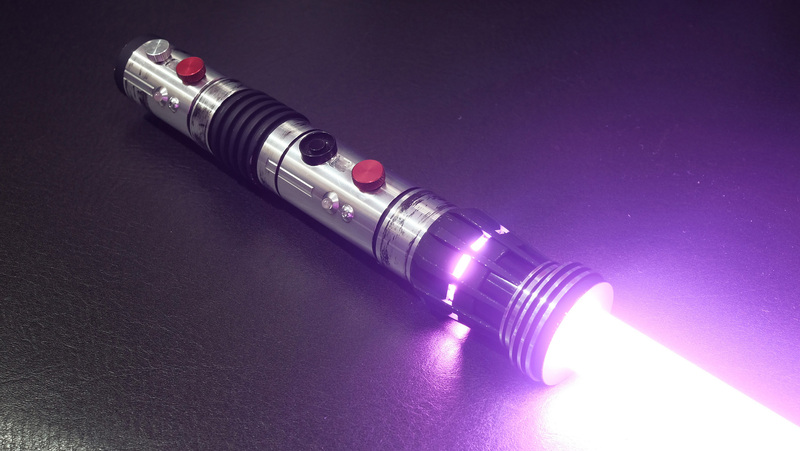 You can find more by just googling “custom duel ready lightsabers”. 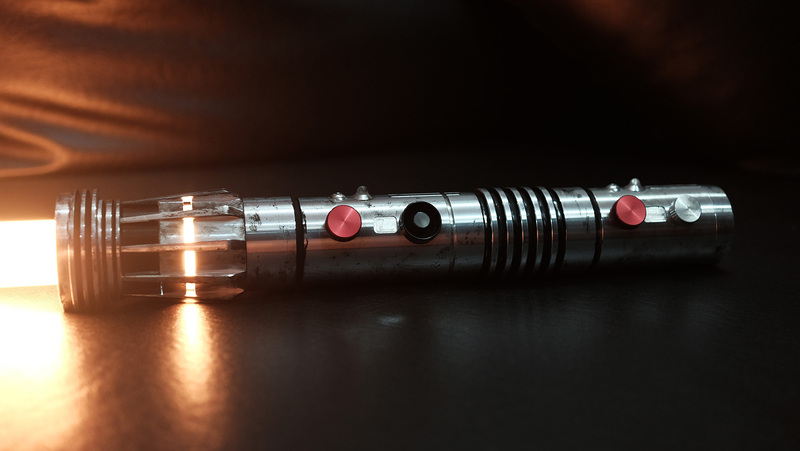 The lightsabers showcased in this post are all from Ultrasabers. 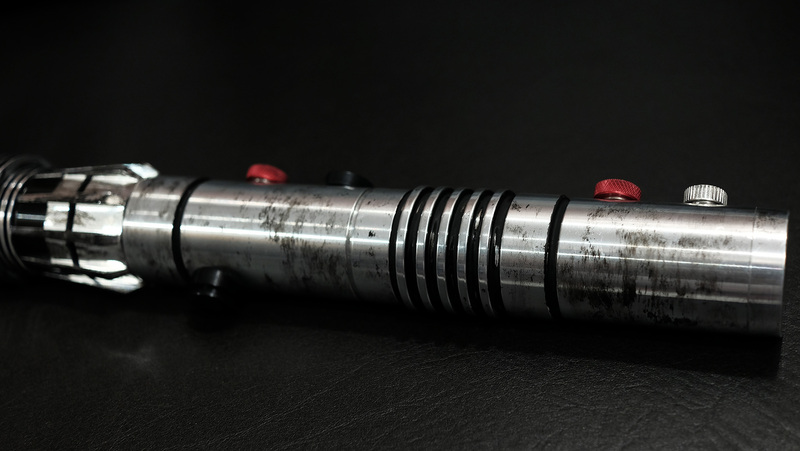 I also did some lightsaber customization on the last set of images like adding scorch marks and weathering effects. Just a bit of warning though. 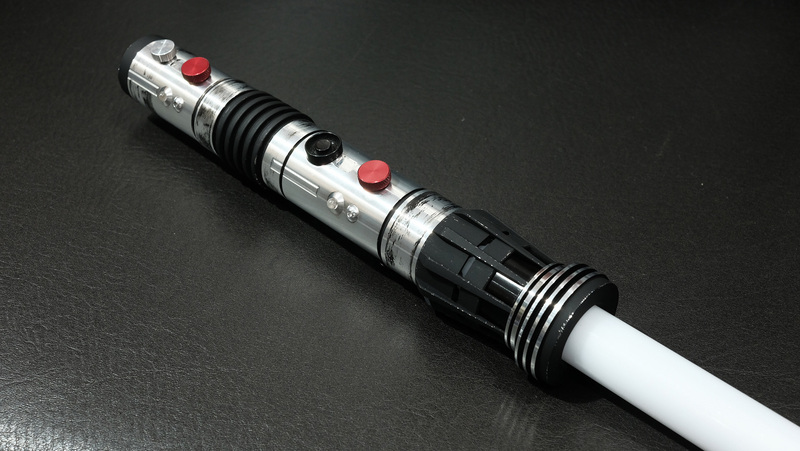 These sabers are not cheap! They are expensive depending on the specs you want. Some of these specs gives you the ability to change your lightsaber’s colors and/or changing your saber’s motion sound fonts (your saber’s sound effects when you swing it). 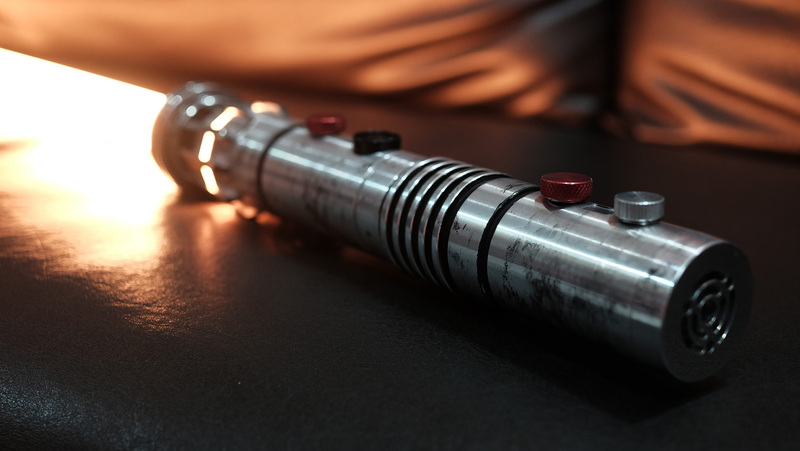 You can also add what they call “Flash on Clash” – a LED lighting effect that mimics the lightsaber clash effects in the films. So yeah, just remember that more features = more expensive. 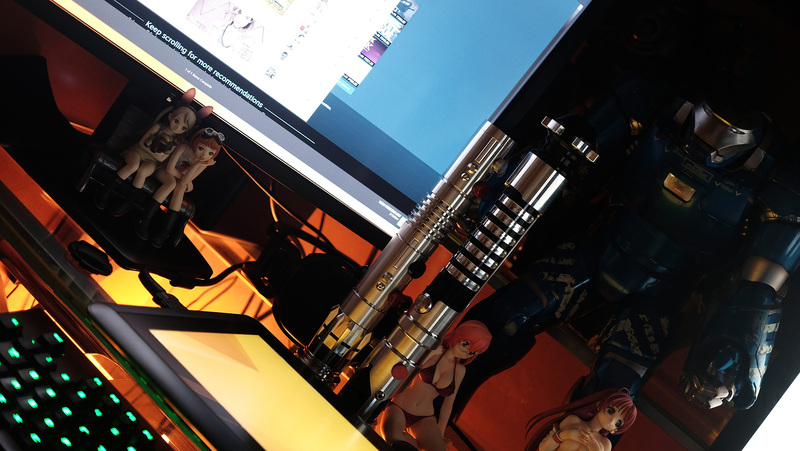 I’ll try to create another post about this “saber specification” so that you know “what to get” and “what not to get”.